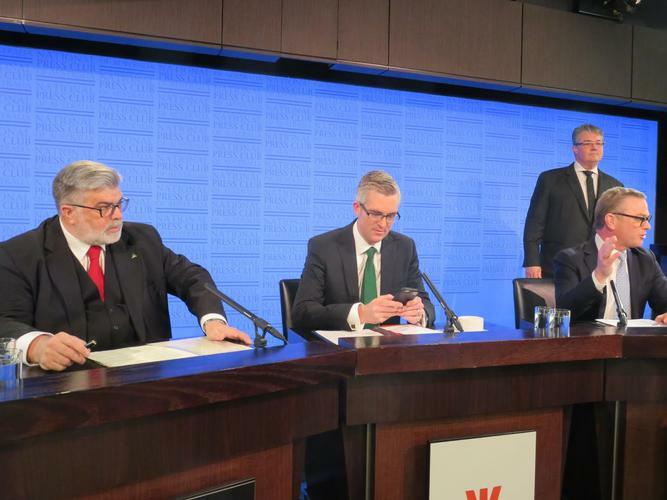 Government talk about agility and innovation is quite worrying for some Australians, and only 50 per cent of businesses are ‘innovative active’, Labor’s Kim Carr told the National Press Club on Monday. Speaking at an innovation debate – which also included the minister for industry, innovation and science, Christopher Pyne – Labor’s industry spokesman said many people are anxious about how innovation is changing industries. “There’s deep concern in this country about what is occurring in the economy – we have not had a real wage increase for some time and numbers of people are very anxious about their futures. This talk about agility and innovation and the new economy in some quarters is actually quite worrying for people,” Carr claimed. Meanwhile, Pyne defended Australia’s innovation record, and a lack of ‘champions’ of innovative manufacturing in this country. In the last 10 years, Australia has lost 400,000 jobs across manufacturing, mining and agriculture, Pyne said. At the same time, there have been 1.4 million new jobs created in the technology and start-up industry. “We are transitioning to a new economy and that will continue into the future. I don’t agree that we won’t have heroes or outstanding outcomes in the innovation sector,” he said. Pyne highlighted Atlassian, the $2 billion NASDAQ-listed technology company that was founded in Sydney – and ISP Internode in South Australia as examples of innovative businesses. Pyne said this was why the government – in its $1.1 billion national science and innovation agenda – had allocated $200 million to a CSIRO innovation fund to support the commercialisation of research. Pyne also flagged the government’s $250 million Biomedical Translation Fund, designed to turn biomedical research into products and services. “I’m optimistic about that part of the economy and I think it will continue to grow,” Pyne said. Carr argued that the government has cut innovative programs that the previous Labor government had implemented to build innovative capability. "Every single one of the announcements that the minister has talked about in terms of the government initiatives are basically scaled down versions of what we had in place under the 'Powering Ideas' [policy]. "And there's been a substantial reduction in government expenditure across the board, so the CSIRO has not only had to cope with $115 million cut in the 2014 budget, but all it's external revenues were affected as a result of reductions in the environment policies that occurred, which underpins their ability to invest in new capabilities," he said.